This is a Short Sale subject to existing lender's approval which could result in delays. This is a short sale property, sold AS-IS - and subject to third party lender authorization and can result in time constraints. Check out this low priced 3 bedroom plus den almost 1700 sq ft home in great area. 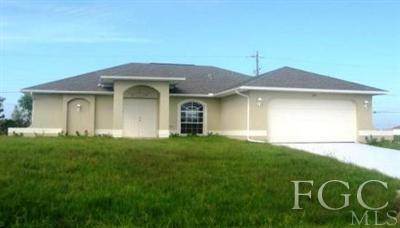 Close to everything with easy access to Fort Myers. Home has been rented previously and does not appear to have any issues with Chines Drywall. Bring your first time buyers, this home will not last long. Minor cosmetic work to be done - home in good condition. Call listing agent for detail.